Go on then, deliquesce, you know that you want to. 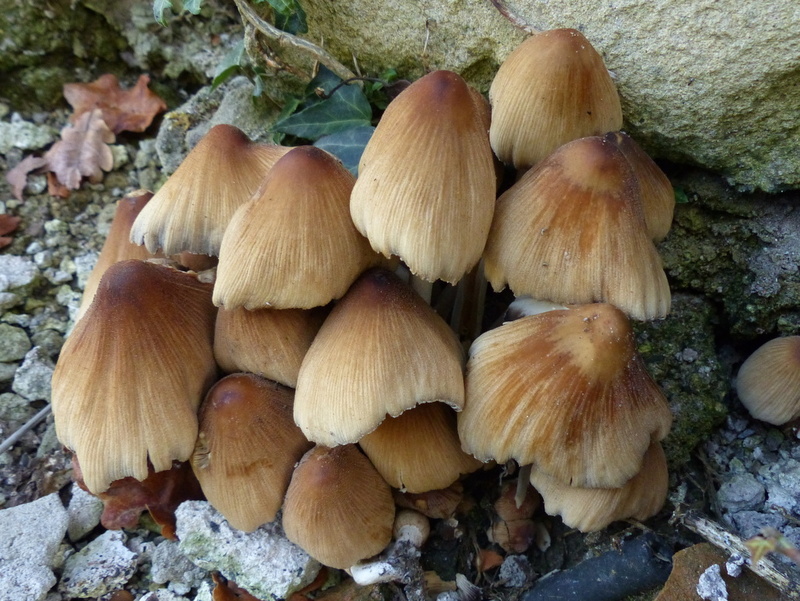 This is a post about the Glistening Ink Cap, Coprinellus micaceus. 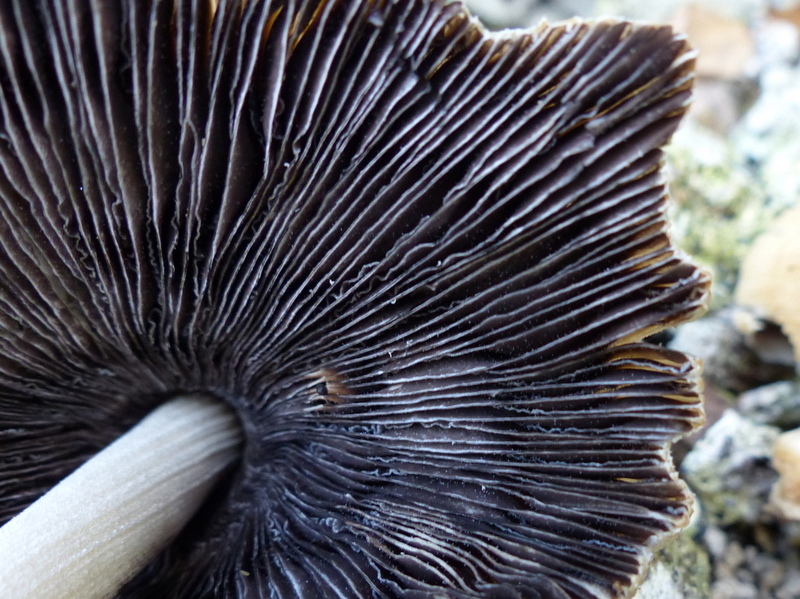 I have two very interesting things to show and tell you about the Glistening Ink Cap. 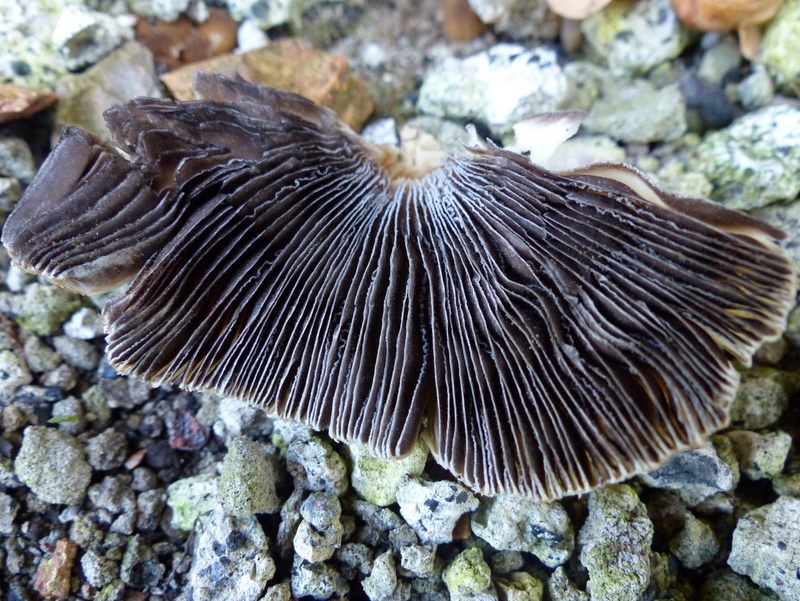 …and it is an Ink Cap. So starting with the glistening. 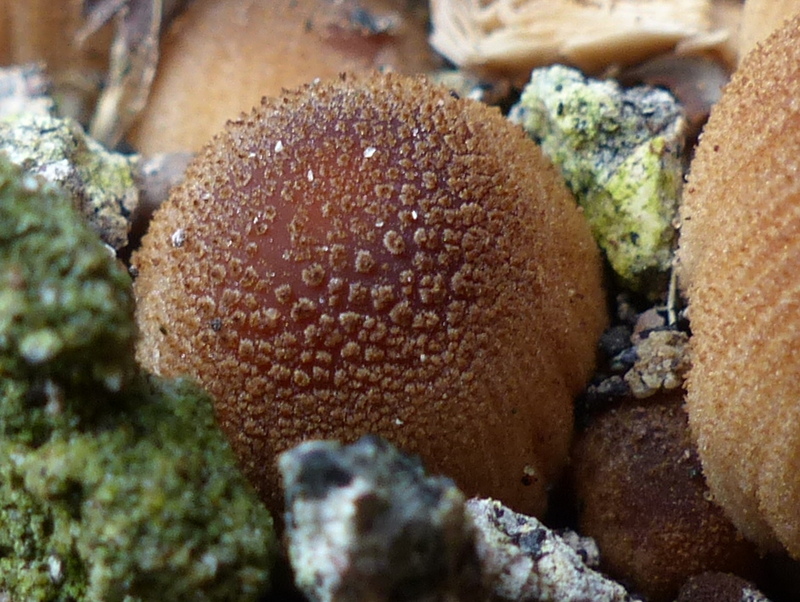 This mushroom is covered in tiny reflective beads that give it’s name. 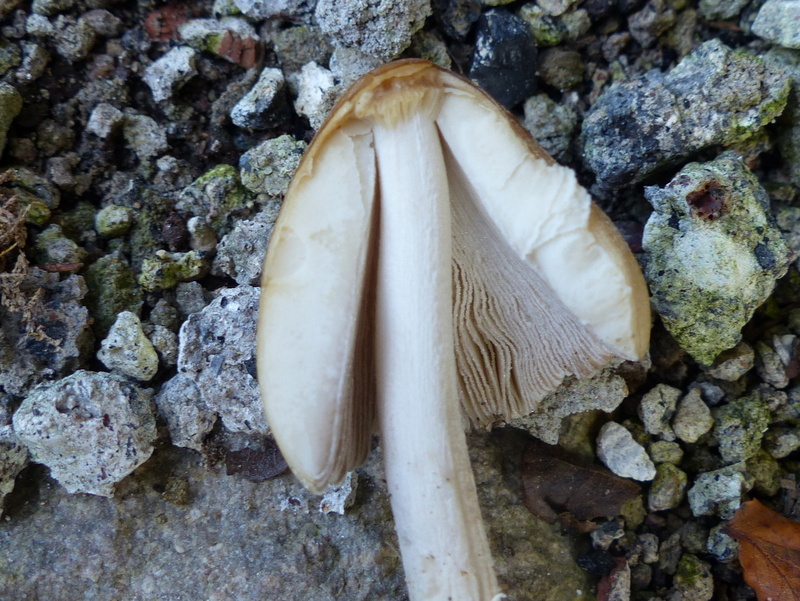 They are the remnants of a veil that once covered and protected the young mushroom. 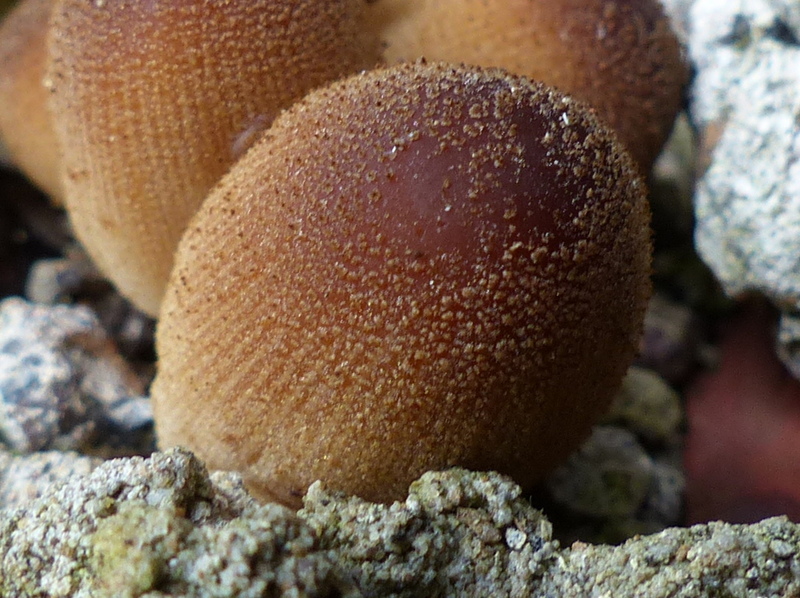 As the mushroom grows the veil breaks up leaving little reflective particles.. 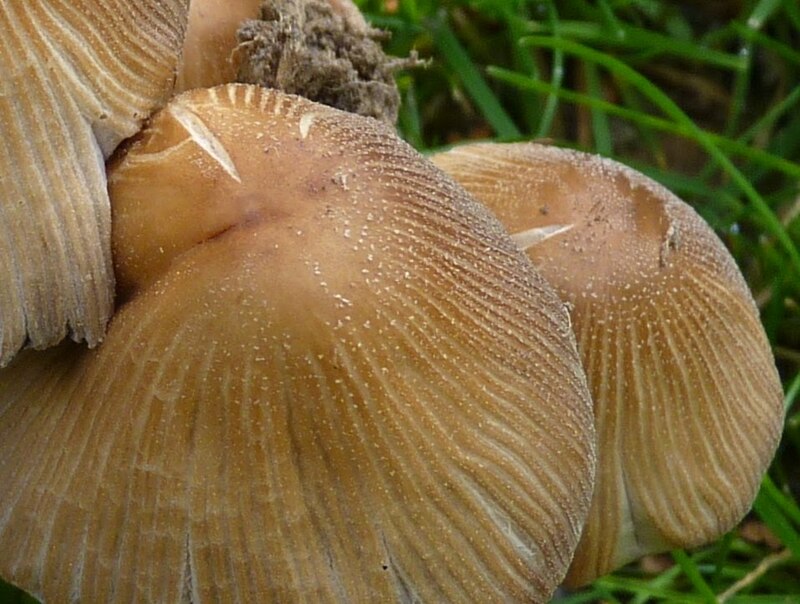 I have an excellent book in front of me, “Mushrooms and other fungi of Great Britain and Europe” by Roger Phillips and he describes this veil as white and powdery. So that is the Glistening, now lets get on to the deliquescence. Another name for this phenomenon is autodigestion. I don’t like to think that this mushroom eats itself, I think that it deliquescifies (Why is that word underlined in red?) but then I am a romantic. 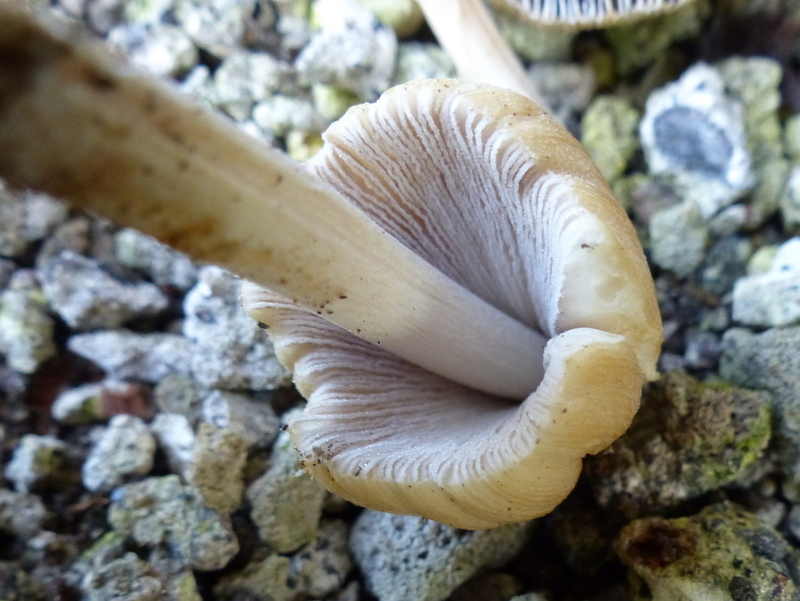 The young caps start of with white gills. 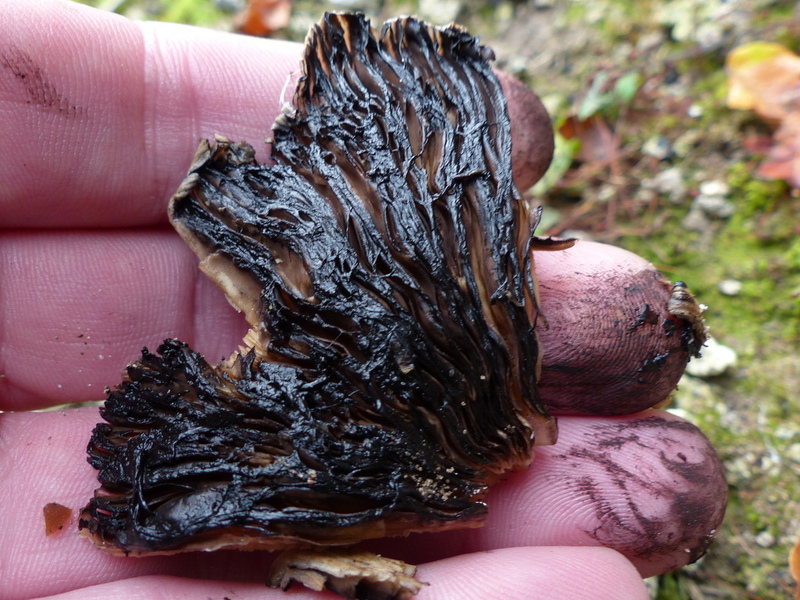 As the mushroom ages they darken. It does get all over you if you play with them at this stage. 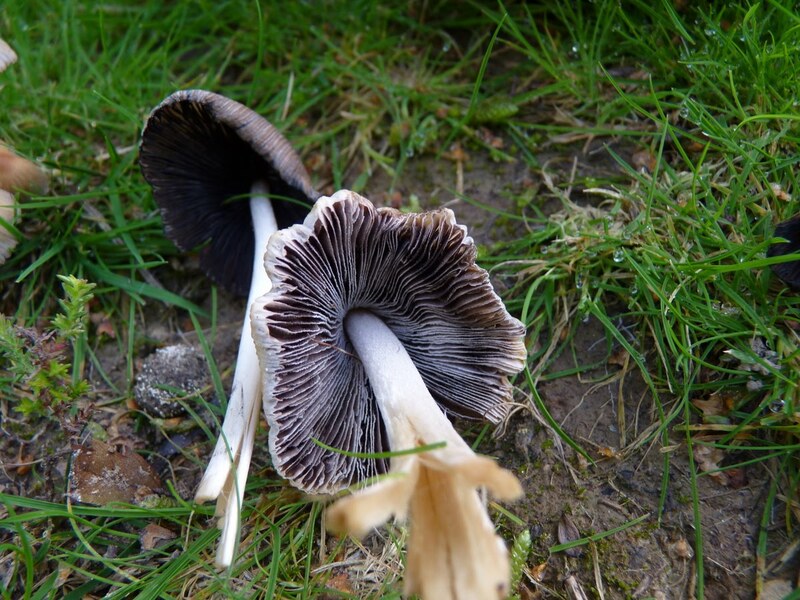 The Glistening Ink Cap is edible. You have to get to them before they start to deliquesce and cooking stops that process. Your window of opportunity is fairly narrow. Today 10 am. They would have been good yesterday. 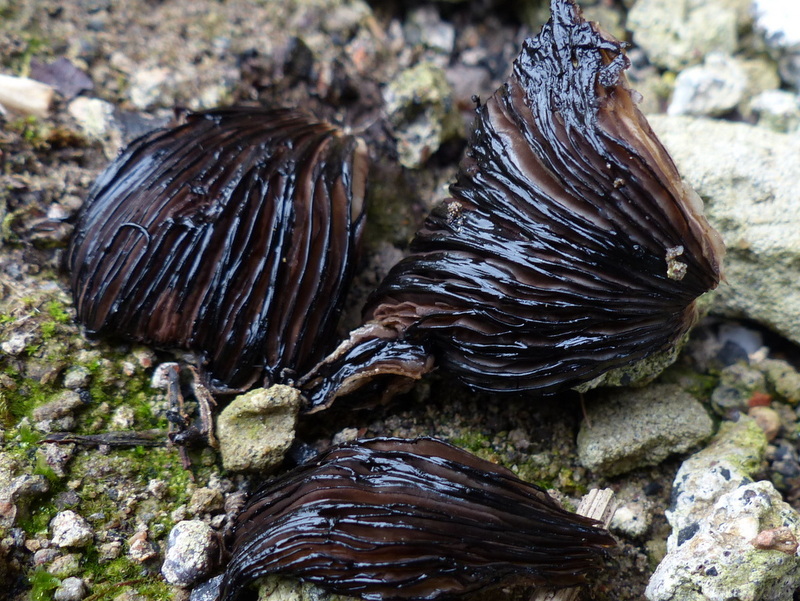 This Ink Cap is saprobic, it feeds on decaying wood. Sometimes that decaying wood is buried underground and it appears to spring from the grass. 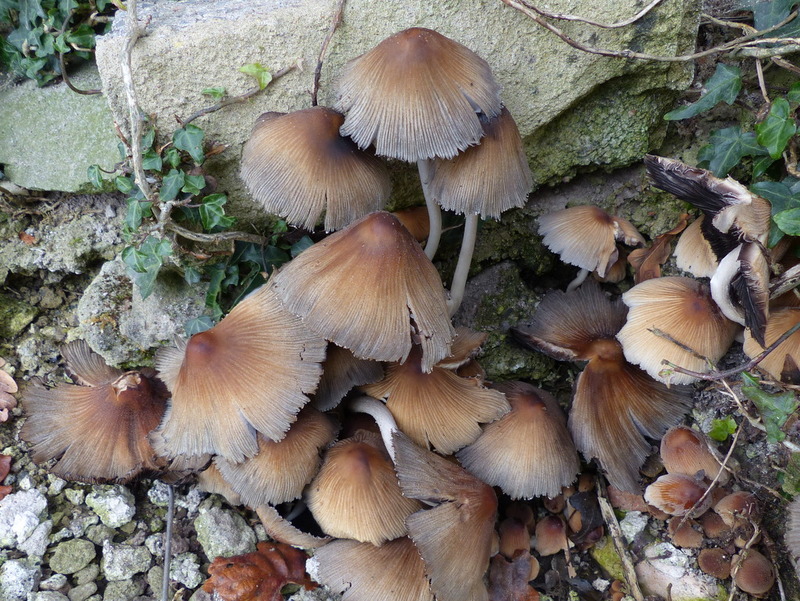 That is my post about the interesting Glistening Ink Cap. 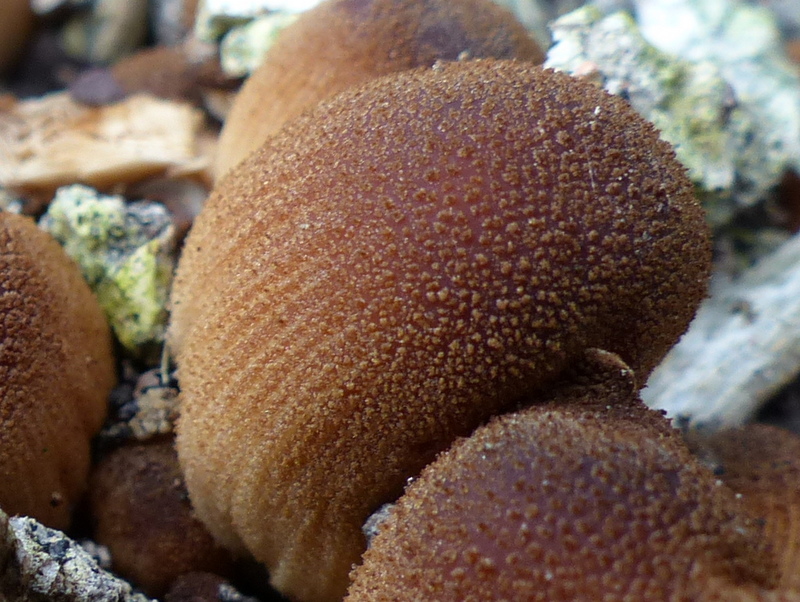 This is a great post on mushrooms with amazing photographs and detailed descriptions. You have done others I’ve seen and I keep on appreciating and discovering your varied talents. You honour me my friend and I am glad that you like this post 🙂 I think that we both know that the Earth is important and that the little things that live in it are so much bigger than us. Haha! I’ll come back to that as soon as I am able to walk around in woods again 🙂 actually I have a master’s degree in organic biology but you see I slept in most of my botanics classes haha if we combine our knowledge perhaps we can make a great team in identifying stuff! And very interesting it is too! 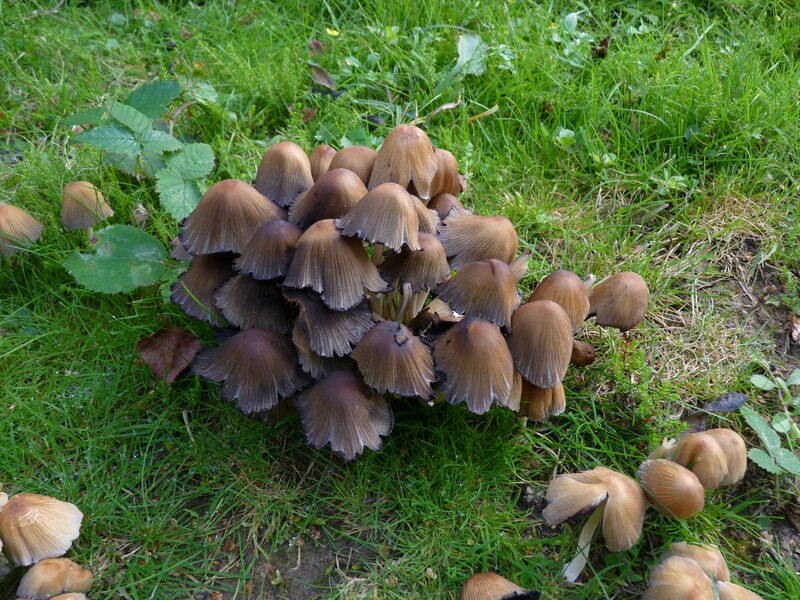 I see these mushrooms quite often and have always wondered what they are. Well, now I know! Thanks, Colin. Thanks Clare 🙂 They are growing almost outside of my front door. 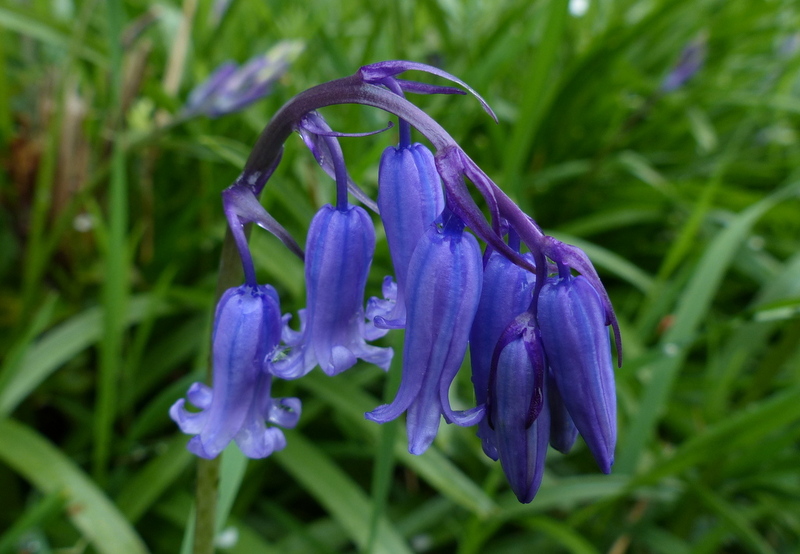 For those of you who enjoy my foraging posts, this is a curious and interesting blog I follow. He posts lots of cool videos too. I absolutely enjoy reading your articles. 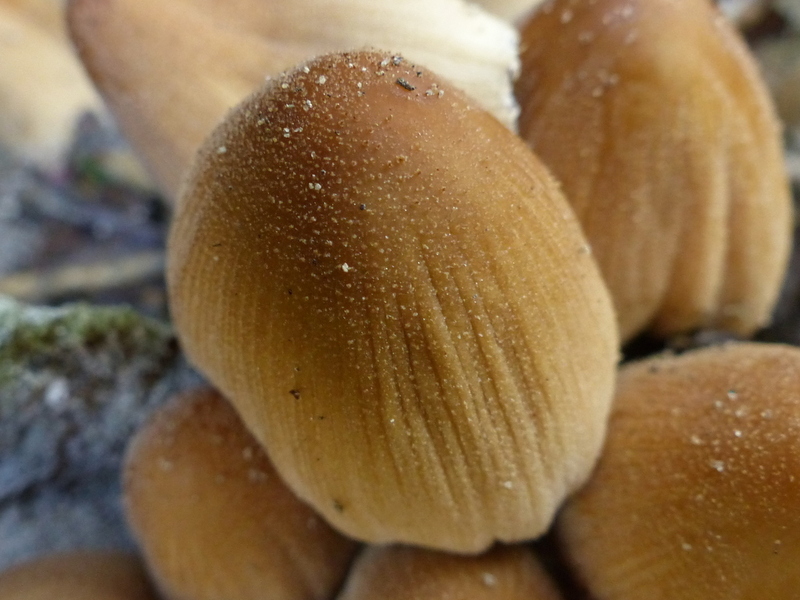 Mushrooms are my favorites, I love to find a new mushroom I haven’t seen before. 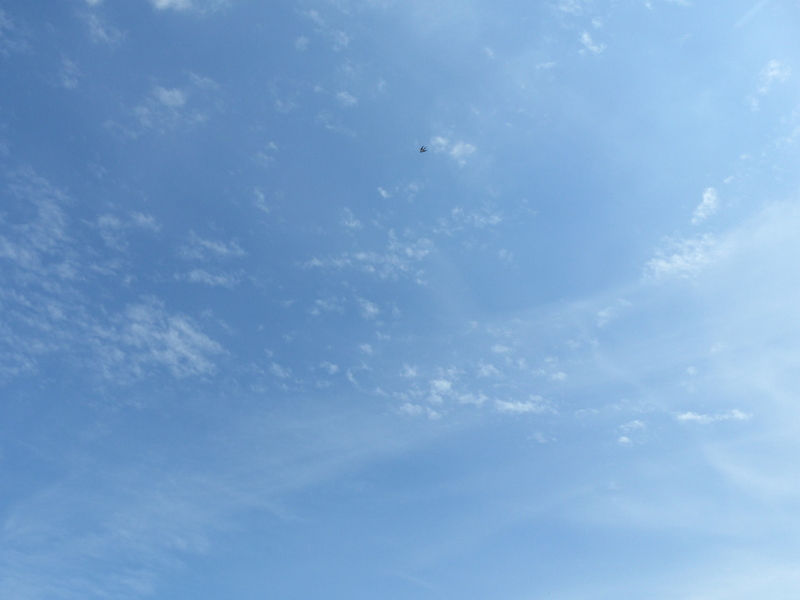 When it happens I always hope that it is unknown to the world, and I am always wrong 🙂 Thank you for the great reading and images! 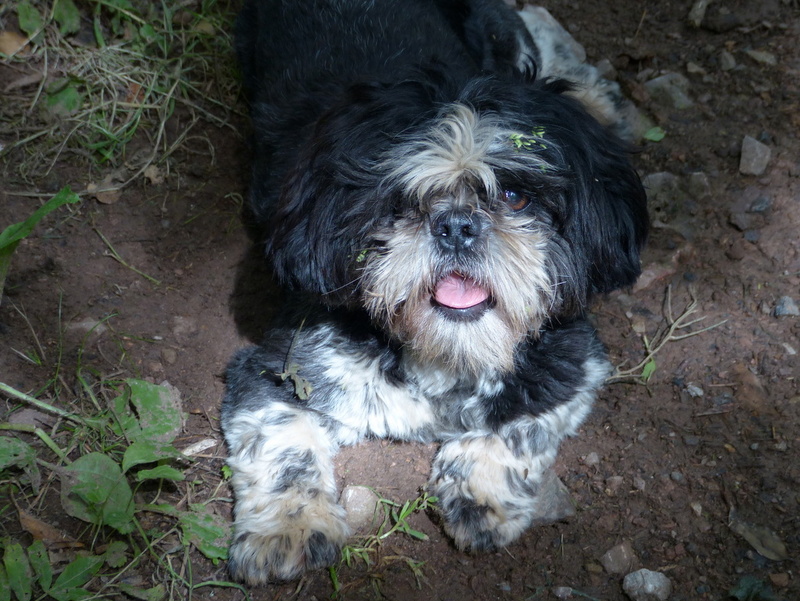 I occasionally use Mitchell Beazley’s guide to assist on Mushroom ID. Not sure I’d be happy to touch one, but you must know what you’re doing. I’d be cautious. Icky! But really REALLY interesting, as the photos show every step of the process. Yes, inky as well as icky. And I LOVE the word deliquesce! Thank you Judith 🙂 Quite frankly, the only reason that I am in a relationship with this mushroom is because it includes the word deliquesensce but I do like it. I like it because it has been icky in my world for ten years and I know the ick. Thank you 🙂 I see things with my eyes and you see things with words, write a poem, I can’t do that 🙂 Words are great. WOW! Thanks for the memories Melissa 🙂 Such a night…. Happy to hear you’re enjoying my blog too! Yet another fascinating post, thanks so much! 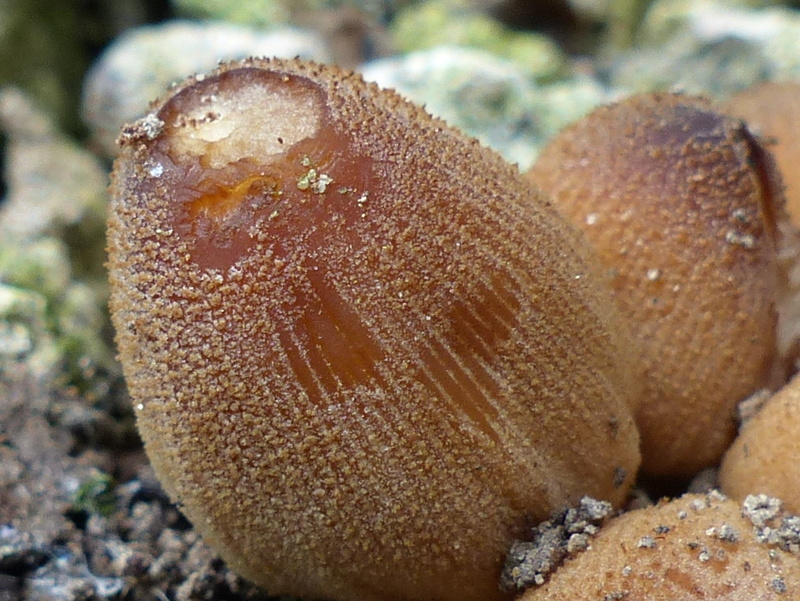 Great mushroom shots and lots of info. 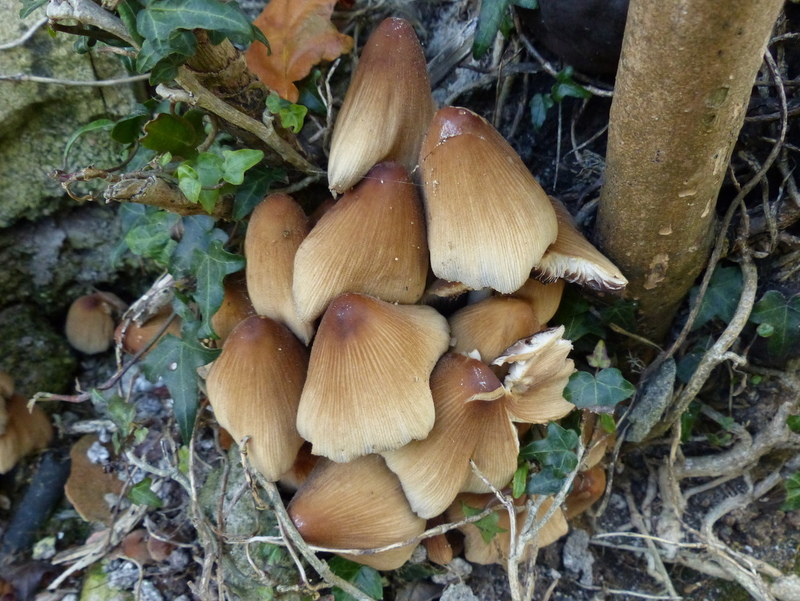 The mushroom season is here too and lots of folk are out foraging ! A popular Spanish pastime here in the Sierra. We ate and survived a Gallipierni yesterday! Others have now ….deliquesced. Great word! If I were there, I would split one of the dead caps and press it gently to a white paper, to make deliquescient prints.